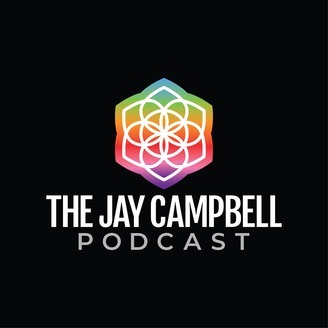 Jay Campbell is the Amazon Best Selling author of three change-making books in the optimization health care space. The 2018 release and #1 overall Men’s Health book, The Testosterone Optimization Therapy Bible: The Ultimate Guide to Living a Fully Optimized Life. The 2017 IF masterpiece, The Metabolic Blowtorch Diet-The Ultimate Guide for Optimizing Intermittent Fasting: Burn Fat, Preserve Muscle, Enhance Focus and Transform Your Health. The 2015 released and #1 5 Star Rated book of all time on TRT/TOT, The Definitive Testosterone Replacement Therapy MANual: How To Optimize Your Testosterone For Lifelong Health and Happiness. 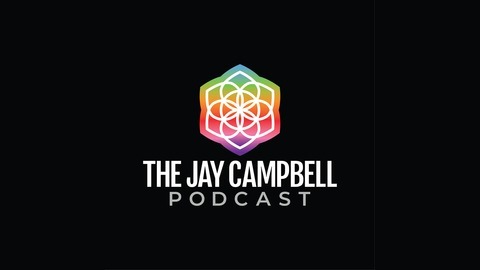 Jay is also the Founder of TOTRevolution.com and the TOT Revolution Podcast. Jay, along with his wife Monica, also founded FabFitOver40.com which is the top online destination for fitness over 40 information. For men today, we encounter so much in our day-to-day trying to get our attention, leading us away from our innate, raw, masculine essence. Why is it so important to reconnect with our physicality? Why are practices like meditation and changing your languaging so beneficial in optimization? On this episode, I’m joined by founder of the Jiu Jitsu Brotherhood, Nick Gregoriades. We have a deep conversation about what we can do to overcome our “lizard brain” thinking and all the things that hold us back. Martial arts allows men to channel their masculine energy and tap into their physicality in a way that the modern existence doesn’t allow for. Testosterone, optimized hormones, and meditation are the edge of getting back that innate masculine presence. If you’re not centered physically, that is reflected in the spirit. Most people’s minds are so busy, distracted and splintered, they need to meditate and silence their minds for at least 40 minutes. Nick and I discussed how martial arts can help you overcome your ego, and the importance of being physically centered. Next, we talked about meditation and why most people need to practice it for at least 40 minutes a day. We also discussed plant medicine and the insights Nick got from taking it, and how language and words can limit your reality. We also talked about dark nights of the soul, hitting rock bottom and why that is so necessary in spiritual development. With so many things competing for our attention, clogging our brains and blocking our spiritual growth and development, it’s so important for us to ground ourselves physically. The body and the spirit are connected, and any time we neglect the body, we also compromise our souls. What also gets in the way are practices that are constructed by ego and greed. The way to win the game is to overcome those instincts and do the inner work. If we’re committed to taking the action and staying the course, we can achieve incredible things. Nick is the founder of the Jiu Jitsu Brotherhood and host of the podcast of the same name. To get in touch email nick@jiujitsubrotherhood.com or go to Jhttps://www.jiujitsubrotherhood.com/ for more information.